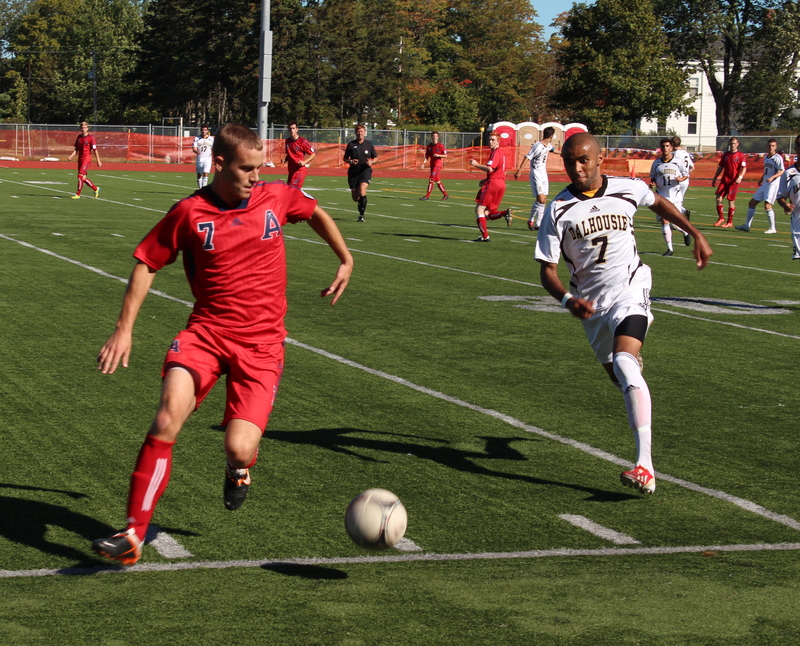 The Acadia Axemen snapped the Dalhousie men’s soccer team’s two-game winning streak in Wolfville on Sept. 21, beating the Tigers 2-0. After the Tigers defeated the AUS leading St. Francis Xavier X-Men 2-0 three days prior at Wickwire, the Tigers lost by the same score to Acadia. Goal scorers for Acadia were Matthew Berrigan and Erik Merchant. Bezick Evraire led Dal with three shots on goal. The Tigers subsequently slid down the standings into a three-way tie for fourth. A much different team showed up against the X-Men in the Sept. 18 match. The Tigers got off to an early start with Evraire scoring off a free kick in the first five minutes. Defender Nathan Rogers notched the insurance marker in the 67th minute, leading the Tigers to victory in front of the home crowd. Since the Tigers were unable to walk away with six points on the weekend, the upcoming games will be critical to the team’s playoff positioning. The game marked the halfway point of the season for the Tigers. With a 3-2-1 record, Dal sits in a three way tied for fourth alongside Acadia and the Saint Mary’s Huskies. However, the three teams are not trailing far behind the top teams. Moncton and UNB currently hold the second place position with 11 points and St FX is sitting in first with 13. The Tigers hit the road once again this weekend as they take on the Panthers in Charlottetown. With only four games under their belt this season, the Panthers have only managed two points so far, both coming from ties.